Whether it's arcade games, console video games, or maybe something completely different, Pete shares his perspective on a variety of topics. The full Unsealed: Bitter Rivals miniseries is now complete. It's been a fun ride through the final three years of the battle between Madden NFL Football and NFL 2K. Opening the games sure brought back some memories, and I shared some of them in the videos as I went on. This was, to me, where the rivalry began in earnest. The Dreamcast wasn't involved anymore, and lead development for NFL 2K3 was on the PlayStation 2-- with Xbox and Gamecube ports alongside it. Both Madden and NFL 2K both boasted online play that year, for the first time. While the Xbox was already set up for online play, the PlayStation 2 needed a network adapter, which it had finally gotten. In the presentation department, Al Michaels had stepped into the play-by-play role for Madden that had been occupied for the previous six years by John Madden's broadcast partner, Pat Summerall. NFL 2K3 implemented ESPN network and telecast graphics into the game for the first time. Pre-game, halftime, and weekly wrap-up segments also added to the TV-style presentation, although none of the ESPN personalities appeared. It can be argued that 2K3 brought a few more obvious improvements to the table, but both games were solid. Both Madden NFL 2004 and ESPN NFL Football-- which was basically NFL 2K4-- offered more significant improvements over their predecessors. Madden NFL 2004 marked the debut of Owner Mode, which added a new dimension to the experience. Managing revenue, deciding on variables like ticket and concession prices, winning over fans, and other responsibilities was addicting... and that's on top of general manager duties and controlling the play on the field to win games. Playmaker controls were also new, focusing on the offensive side of the ball. Players were able to adjust run blocking and receiver routes on the fly, if desired. This was a fantastic addition for more serious football fans who understand the intricacies of offense. Finally, the addition of the EA Sports Bio file made it possible to unlock certain things in the game after completing certain objectives or meeting certain criteria. On the NFL 2K side, ESPN NFL Football added two new modes of play-- First-Person Football and The Crib-- while also further improving its presentation with the debut of Chris Berman in a virtual version of the NFL Countdown set. Berman hosted the pregame and halftime shows, as well as weekly wrap-up show after each week had wrapped up. Berman's delivery is natural and the whole thing felt like you were actually watching ESPN. New replay and camera angles were also added. As for the modes, First-Person Football is exactly what the title implies. Players see the field through the helmet of a selected player, which is a neat concept but doesn't command attention for long. The Crib allowed players to decorate their own house, complete with new furniture, playable minigames, and unlockable ESPN videos to play on a big-screen TV. Unlocking everything for use in The Crib took a lot of grinding, but because the game is fun, it's worth going back and earning more credits just by playing. When players talk about NFL 2K, ESPN NFL 2K5 is the game they're most likely talking about. While the game doesn't have the laundry list of improvements and additions that ESPN NFL Football had, it does refine the entire experience-- and it did so at a crazy price tag. Instead of $50, like most PlayStation 2 games sold for, ESPN NFL 2K5 was a $20 game from the start. This, at the very least, made it easy for Madden stalwarts to at least consider buying NFL 2K5 as well. The price cut came about after SEGA had joined forces with Take-Two, another large publisher who was thriving on sales of its popular Grand Theft Auto series. Take-Two would eventually obtain the rights to the 2K brand, creating a new publishing arm for it and calling it 2K Games. Unfortunately for NFL 2K fans, the series came to an abrupt end after ESPN NFL 2K5. The NFL decided to grant one exclusive license for any video games, and EA won the bid for that license. While Visual Concepts gave football one last shot with All-Pro Football 2K8, which used former players instead of current ones, it just didn't have the same appeal with fans. EA won the war by stripping the ammunition from its rival, and Take-Two had no choice but to surrender. Even today, fans of both series still argue back and forth over what they believe to be the best football game around. In at least some respects, EA Tiburon has never caught up to what Visual Concepts achieved with NFL 2K. The presentation values in ESPN NFL Football and ESPN NFL 2K5 continue to be unmatched by any Madden game, past or present. The unique balance between arcade and simulation play on the field that NFL 2K games had still hasn't been duplicated, and the focus on pure simulation for Madden today makes the games tough for more casual players to get into. It's not that Madden games are bad-- because they aren't-- but there always feels like there's something missing. Maybe that something is competition, but unless the NFL license situation changes... we may never know. After a brief break, Unsealed returns with a brand new episode! It's a look at Vegas Stakes for the Super Nintendo Entertainment System, released in April of 1993. That makes the game more than 25 years old now, and it was nice to be able to open a new game from that long ago. There aren't too many sealed SNES games now that are fairly inexpensive and yet have some kind of personal connection... but this title checks both of those boxes. I bought it from an eBay seller for less than $20, and was happy to see that it arrived in amazing shape. I still don't do much gambling, but I do have a soft spot for slot machines. They're wastes of money, to be sure, but I guess I'm a sucker for the flashing lights and sounds. This is especially true of slots based on things that I really enjoy, like movies and TV shows. I just recently spotted a slot machine based on Seinfeld, which is my all-time favorite TV show. I watched people play that for at least 30 minutes. There are now a few slots with 3D visuals, similar to 3DS effects. Ghostbusters and Jurassic World are both begging for a $20 bill. I've resisted so far, but who knows how long I can hold out. The slots in Vegas Stakes are nothing like the fancy slots we see in casinos today; in fact, I play more Blackjack and Poker than slots in this game. That said, I do play them from time to time as they're easy and don't require a lot of thought except for betting amounts. Vegas Stakes does a nice job-- especially for the time-- of emulating a casino experience. There are five different casinos to play in, each with its own range of bets and possible winnings. The random meetings with strangers aren't really that realistic, as most casino-goers wouldn't engage in such interactions, but it adds a cool element of surprise to the experience. Little details like checking into the hotel at the start of the game and "tells" from players at the poker table are nice touches. It's really a fun game to play, and if you have a SNES, it's not that expensive to own. It does have battery backup, which is important because it's a tall order to parlay $1,000 into $10,000,000 in one sitting. That said, the journey to $10 million is one that I think is worth taking, and taking your time to get there. Thanks for checking out the video. The full Unsealed playlist can be found here, if you want to catch up on all of the episodes. Sports video games will always be a passion of mine, no matter how much the modern games frustrate me. I've been a Madden player (and game purchaser) for more than 25 years now, and continue to buy the games yearly... despite my complaints about them, which I'm going to touch on shortly. Let me get the obvious out of the way, and start with something positive: Madden 19 is gorgeous, especially running on the mid-generation consoles and on 4K screens. The detail and sharpness are remarkable, even if the player faces aren't always as clear as they should be. It can easily pass as an NFL telecast to the untrained eye, even if the presentation is iffy. NFL games have not, in general, looked any better than they do with this game. That's not hyperbole. It can be argued that they should be looking at least this good by now, and that's fair. The gameplay, I find, is very good. The running game is different this year; leaning on the turbo button isn't as effective as runner must find holes in the line to run through and must occasionally be patient enough for some to open up. I've been passing the ball a lot more as a result, and computer defenders are not pushovers. My struggles are on me; I'm not reading the defense well and making bad decisions with passes. I'll improve with time. Playing defense is as good as it's been for me in recent years. I tend to play as the nose tackle, with the goal of pressuring the quarterback or disrupting the running game. I'm not a very good pass defender-- and, again, that's on me. The game allows me to improve, if I'm willing to spend the time. I'm not as deep a student of Madden or of core football simulations as others, so talking about changing matchups or altering schemes isn't my strength. I just choose a play, a player, and go. So far, so good... right? Now it's time to start talking about the things I don't like. Buckle up. The overall presentation takes a big step backwards this year. While I've enjoyed the commentary team of Brandon Gaudin and Charles Davis since they stepped in for Jim Nantz and Phil Simms for Madden 17, the level of accuracy for their commentary this year is way down. All too often, comments or observations are attached to the wrong plays or situations. I'm not sure why this is, but it's really disappointing to me, as someone who judges presentation very seriously in the sports games he plays. Replay angles continue to baffle EA Tiburon this year. There are times when replay shows an empty field as the wrong camera is used. Other times, the camera isn't centered on the action, aiming too low or too far left or right to properly pick up what's going on. I hate to say it, but EA Tiburon still struggles to master the level of replay accuracy and impact that Visual Concepts showed with NFL 2K5 14 years ago. Finally, the much-ballyhooed revamp of the Halftime Show is a letdown. Jonathan Coachman adds some energy to the "studio", but the halftime show is now little more than a scoreboard with some occasionally on-target action descriptions by Coachman. There's no footage of the big plays, the action from the game in progress is minimal, and the whole thing just feels weak and worth skipping. Not to bring up NFL 2K5 again, but that game had a strong halftime show, with highlights, scores, and even a notable player performance. We don't get that here-- despite EA having an ESPN license. What about the NFL Countdown set or Monday Night Football package? It's a waste. The follow-up to Longshot, which I really enjoyed in Madden 18, is a bust. There's no nice way to say it. So many things that made the original Longshot enjoyable-- from the choices in conversation paths to the mini-QTE events and football pass-steering exercises-- are gone, in favor of a constant and standard short version of Madden gameplay. Devin Wade's character sounds bored and uninterested, while the Colt Cruise storyline just isn't that interesting. Revolving the story around Cruise, while relegating the main character of the original Longshot to what amounts to a supporting role, was a poor choice. Not that Cruise's character doesn't have his moments, but it makes no sense to elevate him while the main NFL story is secondary. I played through the first Longshot in no more than two sessions, because it gripped me so much and I wanted to see what happened next. Here, I'm maybe 40% of the way through and don't really care anymore. Then we come to MUT-- Madden Ultimate Team. I'll be honest: This mode isn't for me. It never has been. Sure, I opened the free packs of cards and went through a few of the scenarios, but I am not into grinding MUT for hours and days to earn enough currency to open packs of cards which rarely contain anything significant that will make a team competitive against other players. Certain packs with the really good cards can be bought via cash microtransactions only, treading very close to pay-to-win (P2W) territory. It's not quite P2W, as skill does play a role and it's possible for a skilled player with weaker cards to beat a lesser-skilled player with a stronger squad... but at least some of the more skilled and veteran Madden players who are into Ultimate Team spend at least a bit of cash to improve. Ultimate Team is HUGE business; it's created the careers of some YouTube and Twitch personalities, who play and promote MUT as part of their living. Make no mistake: EA cares more about MUT than any other part of the Madden experience. Millions of dollars flood into Electronic Arts from MUT, and the publisher will continue to shove it down every single player's throat at every available opportunity. Publishers care as much about post-purchase revenue as they do about how many millions of copies they can sell... it can even be argued that they care more about this perpetual post-purchase stream of revenue that they receive. If I was to give Madden 19 a grade, it would be a B-. It looks amazing, the gameplay is pretty tight, and the Franchise mode is as solid as it's ever been. On the flip side, the presentation takes steps backwards. The commentary is average to broken, replays are still terrible, the Halftime Show is worse despite being "improved", and relevant stat overlays are still missing. 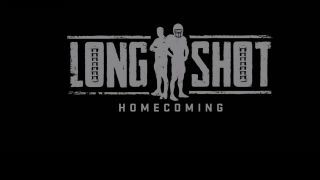 Longshot: Homecoming is a serious disappointment, both as a follow-up to the first and as a single-player experience, and feels more like a throw-in than a focused, crafted addition. Finally, the continued forced focus on MUT is exhausting. 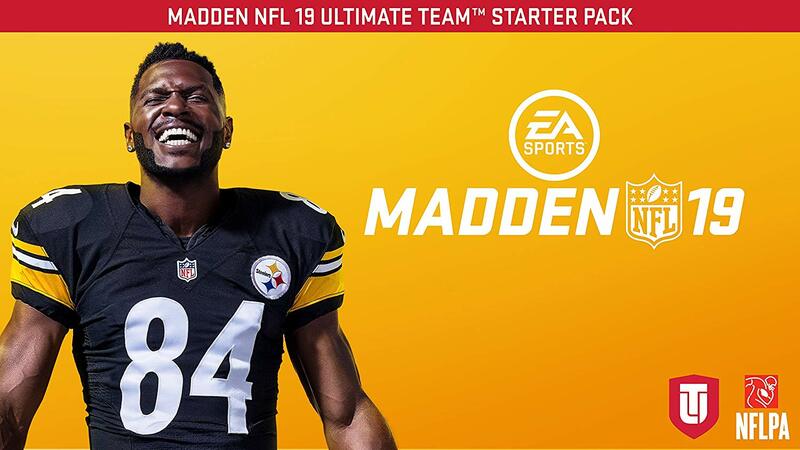 If you've skipped Madden for a few years, this is a decent time to jump in. Otherwise, I don't know that I can recommend it, aside from the implementation of several rule changes that make Madden 18 and prior not play per the current NFL rulebook... if you care about kickoff rules and such. Speaking of football, look for the second part of the Unsealed miniseries featuring Madden and NFL 2K very soon on YouTube and here on the website. -- The last few weeks of the 2017-18 school year were CRAZY, and then I've been teaching over the summer. -- I finally finished my writing contributions for an upcoming book of SNES game reviews. I wrote 85 reviews myself, and it took about a year to complete. -- I've been working hard on my YouTube channel, uploading new episodes of Unsealed and more. -- I've been volunteering my time as a Social Media Manager for an upcoming local video game convention. Needless to say, balancing all of this made it tough to consistently update things here-- but with the book done (minus a few edits, which I'll be working on this weekend) and with more time coming after the convention wraps up in early September, that will free up some time to dedicate here. While the website has been quiet since May, the YouTube channel has not been. There's been a ton of new stuff added there since the last update, and I invite you to check it out. I'll be getting back to updating here when new videos go live, including extra written notes and commentary from me. I picked up some new games (and a few doubles/replacements) from Gadget Depot in Holyoke, MA-- which used to be Game Depot, but is now being run by a different manager. My cousin and friend Sam met me there, and he recommended a few games to me. He also hooked me up with some cool games, which I cover in the video. I don't usually do much game hunting in the summertime, so this was a nice change of pace. On the Unsealed side, I just began a three-part miniseries covering the final three years of the Madden vs. NFL 2K battle. I'll have much more to say about this heated rivalry once I wrap this miniseries up. I will say at this point that I never really leaned toward one side or the other; I bought both Madden and NFL 2K every year, as I found both to have significant strengths. The next episode will be coming this weekend. That's it from here, for now. It's good to be back! It's time for another Unsealed episode, and this one begins a series of videos that will focus on the games I bought for my PlayStation 2 when I got it in January of 2001. -- The shirt that I'm wearing is a pretty cool one. It's a promo shirt that was given out when the "slim" PlayStation 2 models were released. This is the model that I use; its form factor is great for a setup with lots of consoles, and it runs very well. I have had to replace my PlayStation 2 several times, mostly due to issues with the laser not reading certain discs, but given that PlayStation 2 games make up more than 30% of my entire retro library... having a working console is a must. -- Boy, do I love Ridge Racer games. Each game has its own positives that keep me coming back... whether it's the nostalgia of Ridge Racer and Ridge Racer Revolution, the addictive money-earning Grand Prix mode in Rage Racer, trying to unlock all of the cars in Ridge Racer Type 4, or revisiting early PlayStation 2 power with Ridge Racer V, it's one of my favorite series. I'm glad I found one of these games still sealed to open for this episode. -- My angry Dreamcast story is a bittersweet one. As it turned out, affording a PlayStation 2 in January 2001 wouldn't have been financially possible unless I had made such a rash decision and traded away my Dreamcast collection; however, I did regret selling it off for years until I finally replaced the Dreamcast and a handful of games back in 2016 during RetroWorld Expo. I certainly was angry when I found out that SEGA was going to be pulling the plug on Dreamcast, though, and it took me years to get over that irrational anger. -- The black PlayStation 2 shirt was a nice find on eBay. While I'm not the biggest fan of the vacuum-sealed shirt package, it was a perfect thing to have for the Unsealed series... and it made sense to open it here, in this episode that kicks off my earliest PlayStation 2 games. -- There are three more episodes that will follow this theme. Unfortunately, I was not able to land sealed copies of the first SSX, Tekken Tag Tournament, and Swing Away Golf. All told, when I got my PlayStation 2, I had enough trade credit (and a bit of cash) to afford a total of seven games to go with the console and a memory card. That's it for now-- but there's more to come, so stay tuned! It's May 4th, which is often considered a Star Wars holiday. Get it? "May the Fourth be with you." It's a play on words, but it serves as a decent reason to talk about Star Wars and take the wraps off of a Star Wars video game. -- Atari's Star Wars coin-op was the first video game based on the movie that I ever played. It's interesting to note that players can go for high scores quickly by choosing to begin on higher waves. I almost always picked the highest; while my game wouldn't last too long this way, I could routinely get past a couple of waves and get my initials on the scoreboard. It was, to me, a sacrifice worth making. -- The three Atari-published Star Wars coin-ops can also be found on Star Wars Rogue Squadron III: Rebel Strike for the Gamecube. Star Wars and The Empire Strikes Back are games that I often go back to here, even though the Gamecube controller just isn't as precise as the wheel/stick combo on the arcade cabinet. Rebel Strike isn't that expensive, and I do recommend it for your Gamecube library (if you don't already own it). It's not quite as good as Rogue Leader, but the game does have a multiplayer version of that game as a feature... which is a nice touch. -- I do miss Circuit City. There were two locations close to where I live, and I often found deals on PlayStation 2 games there. I also bought my PlayStation 3 and my first HDTV there back in 2007. Sadly, it's another chain-- like Comp USA, FuncoLand, Game Crazy, Electronics Boutique, Babbage's, Software Etc., and so on that are relegated to my memory now. I won't forget them. -- One of the neat things about Rebel Assault II-- at least in my view-- is that the actors in the game got to wear costumes from the films that hadn't been worn in years. There's also a new model of TIE fighter introduced that I think is a really sweet design. I've always liked TIE fighters more than X-Wings. Weird, I know. That's it for now-- thanks for watching and reading, and look for more videos soon! It's time for another new Unsealed video, and this one is perfect for the early arrival of hot and humid weather around these parts. -- Man, Comp USA. That brings back memories. I didn't shop at my local store too often, but I do remember some sweet deals in there from time to time. Unfortunately, Circuit City was across the parking lot, and that store had a better selection of console games... as well as better clearance sales. Nevertheless, it was yet another in the long list of retail stores that I used to shop at which no longer exist. This makes me feel old. -- As someone who's played snowboarding games a bit, but has never actually been snowboarding for real... I have a tough time with realizing that if I miss a certain jump or objective, I can't simply turn around and go back. You can't snowboard uphill. It's nice that the dev team put lift icons in certain locations that can take players back up the mountain, but force of habit always leaves me looking like a dummy when I instinctively turn around to go back and do something. -- Not long after I got this game for my PS2 when it was still relatively new, I started running karaoke shows. I played two songs from this game's soundtrack at the shows as "bumper music" to run while waiting for the next singer to come up: Alien Ant Farm's Courage and Spineshank's New Disease. Licensed video game soundtracks actually accounted for quite a few songs that I would play for bumpers, but that's a story for another time. -- The Tony Hawk offshoots could never really capture the same magic that the games that inspired them had. Shaun Palmer's Pro Snowboarder is a decent game, but it's not one that I find myself wanting to go back to that often-- unlike Tony Hawk's Pro Skater 3, for example. Aggressive Inline, which I shot an earlier Unsealed episode on, is perhaps the best of the Hawk-influenced games... and it wasn't even an Activision title. Go figure. Anyway, that's it for now. The next Unsealed video is hopefully going to come on May the Fourth. That might be a sorta-kinda hint. For now, though-- thanks for checking the videos out!